With the help of dramawiki. 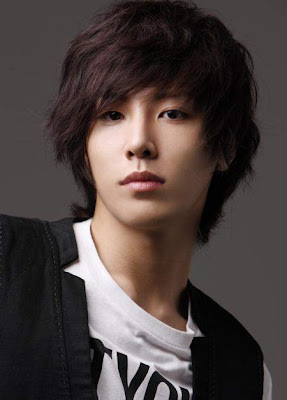 his name is "No Min Woo".. I don't really know anything about him... who cares, all I know is that his the guy that Hong sisters always make to kill us all.. Who will the leading lady will be better off.. the leading guy or the second guy.. it's very obvious who she will end up with.. but you always hope that the heroine will be better with the second guy.. We had Lee Jun Ki from My Girl (...I can't remember his name in that drama), Shin Woo from You're Beautiful.. and even with non-Hong sisters drama there's always this guy.. 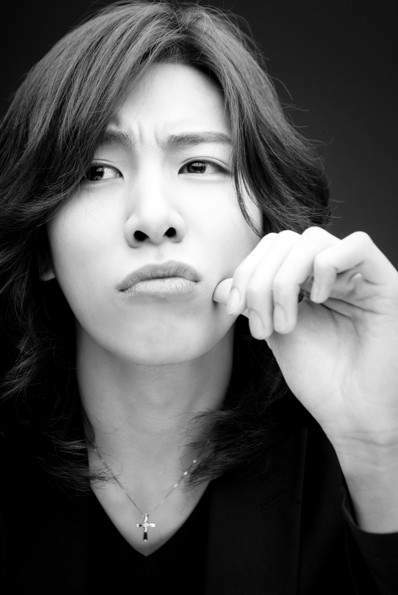 Troy from Princess Hours. Anyway.. I want to see more of him.. with long or short hair but not with blonde hair.. please.. and plus he knows how to play guitar and sing.. Plus plus plus! Oww... this just makes me get excited about My Girlfriend is a Gumiho.